I am so busy. These 4 words tend to be the first thing out of my mouth these days. I am noticing it's not just me but everyone I meet or talk with. There was a time when people used to use the phrase "so, how's the weather?" when there was some time to fill but now it seems we compare our schedules to see who is running the fastest. I don't know about you but I am done. I have known we are too busy for some time now but recently I have noticed myself more irritable than usual. As I asked The Lord what is going on in my spirit he lead me to take a look at our calendar. As I opened it I realized there aren't many days where we don't have something going on and even worse my "to do" list just keeps growing. In fact, that "to do" list is the first thing that gets my attention each morning if I'm not careful. As I looked at how busy our life is something deep within rose up, it was a righteous anger, that said this is not the best God has for us. God didn't create us so we can run on a treadmill and get nowhere fast. He created us for relationship with Him and others. The greatest commandment was to the love The Lord our God then to love our neighbor as ourselves. To sum it up, love God and love people. Now don't get me wrong, much of what our family does is just that but somehow things creep on the schedule that God never asked us to do or be a part of. I wish I could give everyone a clear answer on what it looks like for you and your family to not be ruled by this god called "busy" but the real answer is you need to hear God for yourself. Only God knows what he wants you to say "yes or no" to and no person can ever give you that answer. You must seek God for yourself. These are just a few that come to mind but I know that as I continue to yield to The Lord in this area more and more freedom will come. I am not done working, dreaming, moving forward in life...I am just on a quest to eliminate any distractions that may seem small but rob me and my family of our joy. One more plea I have is for us all to extend grace to each other. If someone can't make it to a party, play date, family get together and so on be understanding. We all have to fight together to not let our schedules run our families and friendships and I think if we all kept that in mind everyone would feel a huge load lifted and be able to fully live life again. 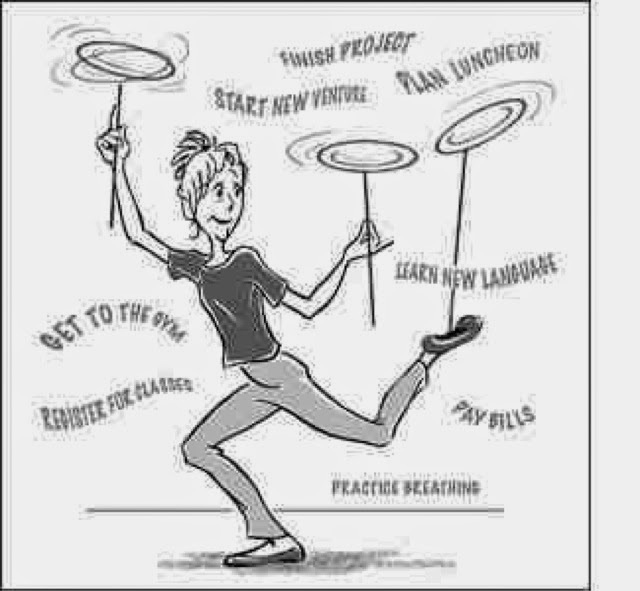 I leave you with a funny yet true image of what it looks like to balance all our plates. Ask God which plates he never intended for you to balance. 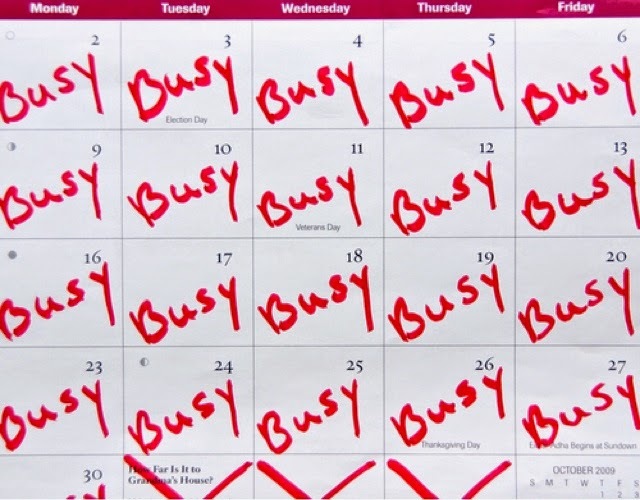 Will you join me in changing your "busy" to "blessed"?